Look, I’m not so uptight that I think only waffles can be cooked in a waffle iron. Hash browns, pizza, even filet mignon: The waffle iron is way more versatile than most people give it credit for. 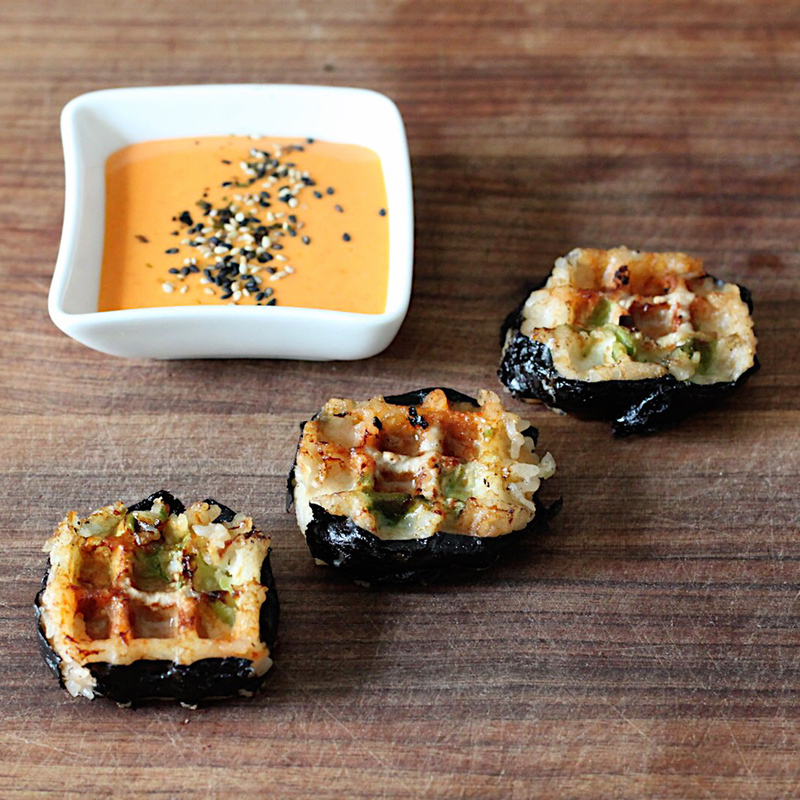 But there are some things you would never even think of waffling—like sushi. But that’s just because you aren’t dreaming big enough. The results look tasty and oddly not ridiculous. Next up: I’m going to see what happens when I pour an entire bowl of ramen into my waffle iron.